The Qalandar community can be described as a clan. They are descended from people who were devotees of the Sufi saint Bu Ali Qalandar. Some moved east into what is now Uttar Pradesh, India, while others slowly moved west. By the mid 1600s many were settled in Punjab, a region straddling India and Pakistan. The Qalandar people in Pakistan are sometimes nomadic. They have made their living for generations by traveling town-to-town exhibiting the dancing bears they have captured and trained in the forests. "Punjab" means "where five waters meet." 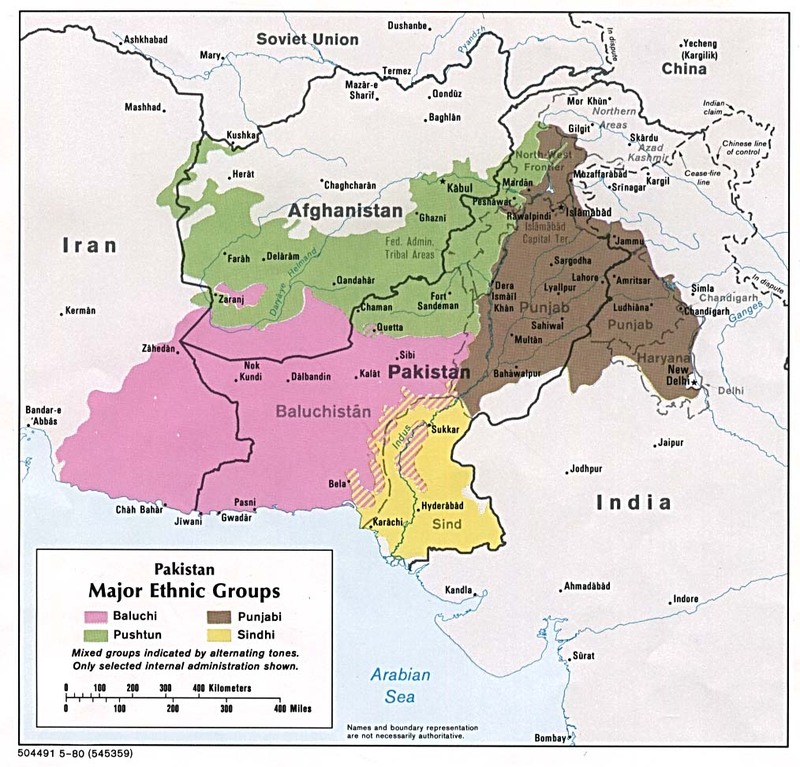 An international boundary separates Pakistan from India dividing the Punjab politically and causing disputes which often prohibit free movement. This is a problem for the Qalandar people because they make their living on both sides of the border. In as many as three villages a day they entertain with trained bears, monkeys, goats, and dogs. Most Qalandar people also develop other entertainment skills, such as juggling, acrobatics, and magic. The children and women often work as professional beggars. They are a very poor community that needs to find better ways to make a living. The Qalandar profess whatever belief best serves their momentary purposes. However, they use charms as protection from evil spirits. It is difficult to present the gospel to them because they travel constantly, using vicious dogs to patrol the camp perimeters. Strangers are not welcome in their camps. Missionaries might meet the Qalandar's basic human needs through job training or schooling while sharing the gospel with them. * Scripture Prayers for the Qalandar in Pakistan. * Pray for the Lord to raise up persons of peace among the Qalandar people to open the door to Christ's ambassadors. * Pray for the Lord to raise up His people to teach them marketable skills. * Pray for a disciple-making movement among the Qalandar people of Pakistan and India. * Pray for believers to take on a prayer assignment to pray for the Qalandar people until they have a strong body of believers.